The High Court (HC) on Wednesday released the full text of its verdict declaring the mobile courts conducted by executive magistrates illegal and contradictory to the Constitution, reports UNB. 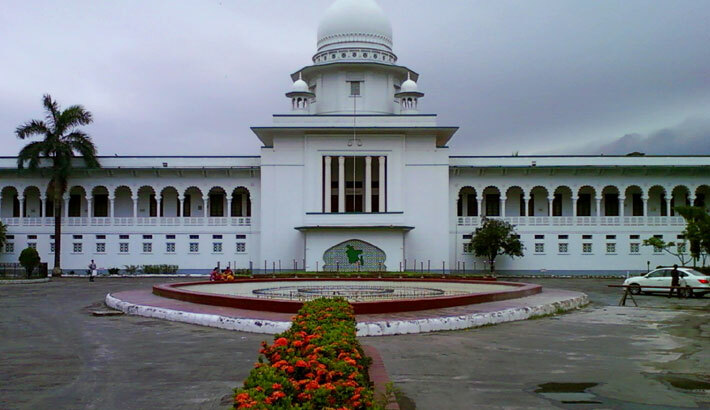 The HC bench of Justice M Moinul Islam Chowdhury and Justice Ashish Ranjan Das released the verdict on Wednesday morning after they signed it on Tuesday. Meanwhile, the Supreme Court stayed the HC order till July 2 in response to a petition filed by the state. On May 11, the HC declared mobile courts illegal and contradictory to the Constitution. The court declared section 5, which empowers an executive magistrate to conduct mobile court, and sections 6 (1), 6 (2), 6 (4), 7, 8 (1), 9, 10, 11, 13 and 15 of the Mobile Court Act-2009 illegal and contradictory to the Constitution and independence and supremacy of the judiciary, said Barrister Hasan MS Azim. "And it also goes against the verdict on the Masdar Hossain case," he said. On September 14, 2011, a mobile court sentenced Kamruzzaman Khan, chairman of Esthetic Properties Development Ltd, for violating some sections of the Building Construction Act. Later, Kamruzzaman secured bail in the case and filed a writ petition with the HC challenging the legality of several sections and sub-sections of the Mobile Court Act-2009 on October 11. On October 19 in the same year, the HC issued a rule asking the authorities concerned to explain why sections 5, 6 (1), 6 (2), 6 (4), 7, 8 (1), 9, 10, 11, 13 and 15 should not be declared illegal and contradictory to the Constitution. In December of that year, Mujibur Rahman, a house owner in the capital, filed another writ petition as a mobile court fined him Tk 10 lakh, in default, to serve 30 days in jail for violating the Building Construction Act. Following the writ petition, the HC issued another rule in this regard and stayed the mobile court verdict. On May 2, 2012, a total of 17 bakery owners of Dinajpur filed the 3rd writ petition challenging some sections of the Mobile Court Act-2009 and seeking an HC order to enact a policy of keeping food experts and necessary food-testing equipment with mobile courts. The HC issued a rule taking cognisance of the writ petition on May 8. In March 2017, the HC heard the three rules and kept the order pending. The mobile court ordinance was promulgated in 2007 during the army-backed caretaker government. Later, the Awami League-led government passed the Mobile Court Act on October 4, 2009.